We went on a fun trip earlier this year to celebrate my 50th birthday. One of our destinations was Universal Studios Orlando. 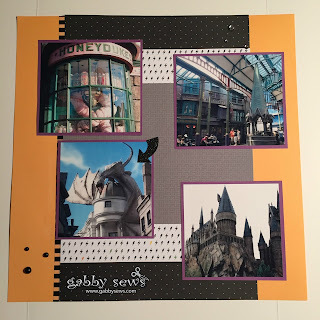 I am a huge Harry Potter fan and I was not disappointed! 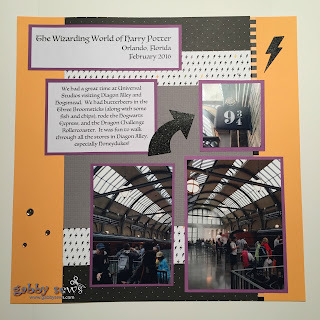 When our blog hop this month tasked us with using the Jeepers Creepers paper from Close To My Heart I knew instantly that the cute lightning bolt paper was screaming for me to use it to capture my memories from this awesome trip. I also used some of the Jeepers Creepers Compliments, Jeepers Creepers Washi Tape, and some retired epoxy bubbles (to get a similar look you can take our Clear Sparkles and color them with a black Shin-Han (or another type of alcohol) marker - make sure you let it completely dry before touching it). I surprised myself by not using any stamping or Cricut cuts on this layout. However, I have some ideas for the rest of the paper packet and some Cricut cuts from our new cartridge Flower Market. There is a sugar skull on it that is too adorable?!? I've just got to use it!! This is AMAZING Rene!!! This paper is TOTALLY PERFECT for Harry Potter! I can't wait to use your inspiration for my upcoming trip! Great job and thanks for sharing girl!! Thanks! It's a really fun place and it made me want to go back while I was scrapping it! 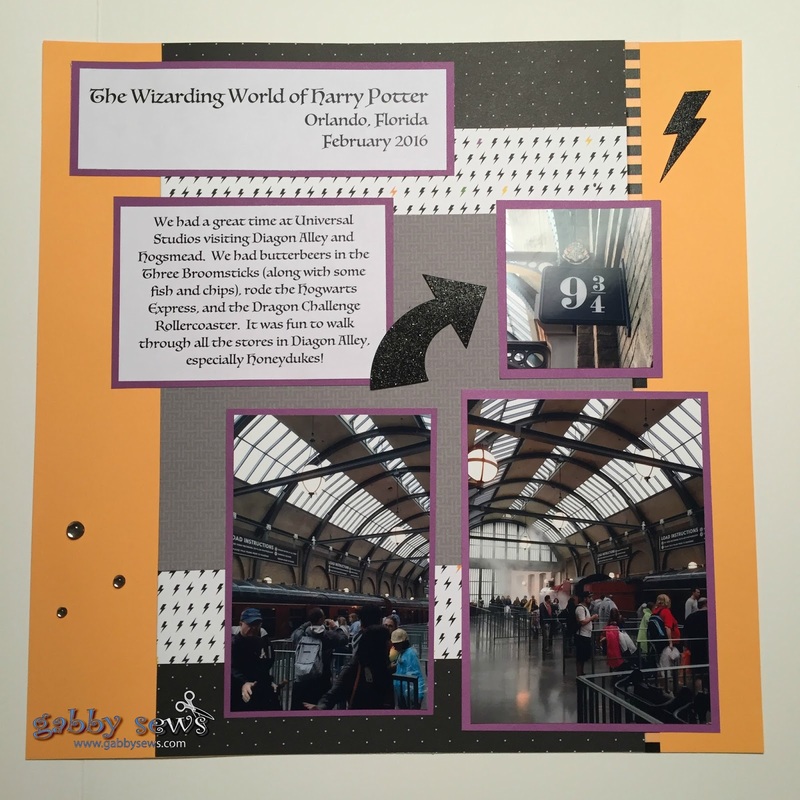 These pictures and layout is amazing, makes me want to talk my husband into a trip to see Harry Potter! Thanks! It's a great place to visit - sort of small but really well done!! Make sure you take the train both directions when you go. It's different each way. Great LOs....also great that you included your journaling!